Technology never seems to slow down. No sooner than returning from the line for an iPhone 3G, you’re back at the store, camping out overnight for the 4G! This is true in many consumer verticals but solar power generation is on the bleeding edge of what’s hot right now (no pun intended) and the pace is quickening. You may not be camping out for solar, or seeing the same sort of advertising for it yet, but scientist, engineers and researchers are all doing their part to deliver solutions that are more efficient, affordable and easier to use than ever before. 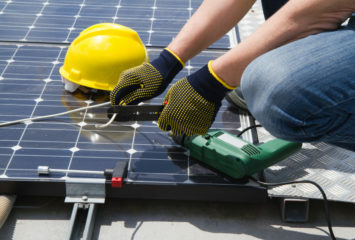 Now, you may have heard that it takes more energy to manufacture a solar panel than the panel itself will ever produce. Well, a study done by the National Renewable Energy Laboratory (NREL) in Golden, Colorado is dispelling this myth. 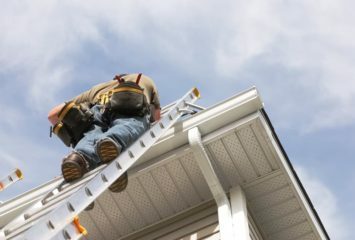 In a recent study NREL found that “single-crystal panels reach energy payback in 5-10 years, polycrystalline panels reach energy return on investment in 3-5 years, and amorphous silicon panels in just 0.5-2 years.” This is amazing data that will help to dispel some of the negative views out there. It is true, there are studies which have shown the inefficiency of hybrid cars, solar cells and wind power compared to existing “dirty” technology but the development and adoption curve of any new products takes time to reach economies of scale. Short sighted, self interested attacks to preserve the environmentally harmful status quo cannot last forever. Solar is reaching and passing lifetime payback now and moving very quickly thanks to companies like Nanosolar. So how has solar technology been improving in recent years? Well, panels are being designed to last longer and be more durable thanks to innovations in plastic technology, the same kinds of technology keeping smart phones from getting scratched! Older PV systems had a tendency to turn brown in the clear substrate layer at mounting points. This age related phenomenon lead to a reduction in electrical output which meant less energy for the end user. This problem in particular has been a point of focus for researchers who are turning to create new types of plastic which are more resilient to UV rays and weathering over time. According to a 2005 article on NationalGreographic.com by Stefan Lovegren, advanced plastics designed for use in solar cells use nanotechnology to harness the sun’s invisible, infrared rays more efficiently. This breakthrough has led theorists to predict that plastic solar cells could one day become five times more efficient than current gen glass and thin film solar cell technology. High voltage solar panels are also starting to pop up and become more affordable. Old solar panels produced about 12-14 volts, which meant someone would have to use a series of panels in a 48 volt home power system. Now, however, 48 volt systems are the norm while 12 volt systems are becoming increasingly rare. Today you can get high voltage systems running at 65 or more volts which allow for a much more efficient array and lower line loss occurrence. Another recent advancement in solar technology is maximum power point tracking (MPPT) controllers. These new controllers help to change the way solar cells send energy, much the way a car would change gears depending on the terrain it is encountering on the fly. In this way, MPPT controllers measure the trade off of input power and adjust the array to clouds, the angle of the sun and even snow on the ground reflecting up. In addition, these controllers can accept high voltage input directly, so you can have arrays with up to 135 volts. This advancement allows for greatly increased output on cloudy days or when the sun is not hitting the panels at an optimum angel. For more information check out this article on MPPT. At a more aesthetic level, solar shingles and all black panels are being developed to help the technology blend in with houses and office buildings. These innovations may not increase energy production or pricing of solar panels but if they convince more consumers to add it to their house that’s a big win! What is so interesting and incredible about solar technology is that it can be used anywhere on anything. Future solar films may be applied with spray on devices and could cover everything from cars to clothing and even cell phones. A hydrogen-powered car covered in this new material could potentially covert enough energy into electricity to recharge the car battery. Recent research into thin film and spray on solar has combined specially designed nano particles called quantum dots with a polymer to make plastic that can detect energy in the infrared spectrum. Nanotechnology is an emerging discipline that plays directly into advancements in clean technology and solar power generation. Image below courtesy of the University of Kentucky. There is no doubt that solar technology is making enormous leaps and bounds forward but as an end user it might not always feel like it. Nobody’s camping out for these hot releases yet but they certainly are being worked on! One of the best places to watch for publicity on breakthroughs in the solar space is consumer devices. Chargers such as the uber popular Solio and Toyota Prius solar vent option show us just how useful this technology can be and garner mainstream attention. With each passing year more and more devices will pop up and slower, larger steps will be following in their footsteps for residential solar installations.